The inventor of THULS served as a NCO in the Marine Corps and he just couldn’t figure out why a writing material didn’t exist that could withstand the rigors of water, training, and combat (humorously thought of as being “Marine-proof”). Through a lot of trial and error - and a lot of personal investment - the ‘right’ mix was created and a patent was applied for and granted that enables the THULS material to serve as a preprinted, all-weather, rewritable surface. Outreach to the Marine Corps begins with the creation of custom THULS Battalion and Regimental TACSOPs. 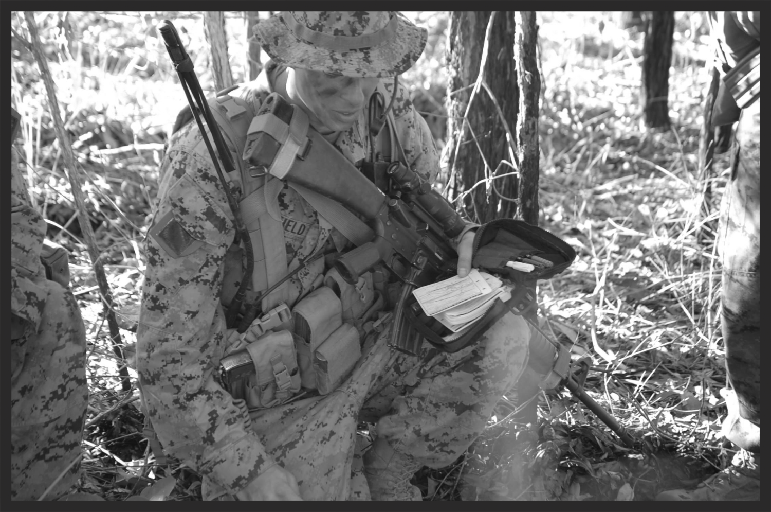 The Marines begin to issue THULS “Leader’s Tactical Handbooks” to all new officers and to infantry unit leaders. With over 40 custom unit SOPs created and almost 40,000 handbook products delivered to Marines, MIR branches into individual tactical items and full-scale support for Army units and all government agencies. The Department of Energy creates its first custom handbook for its security protection forces.